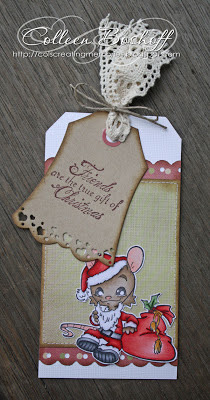 Col's Creating Memories: Christmas Tags! I hope you all had a wonderful christmas and had a chance to have a wee bit of a rest! 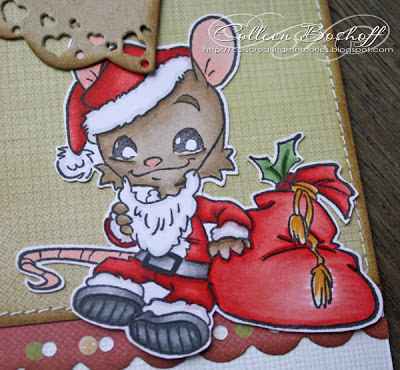 I thought before December is over, I would share the last of my christmas cards and tags. 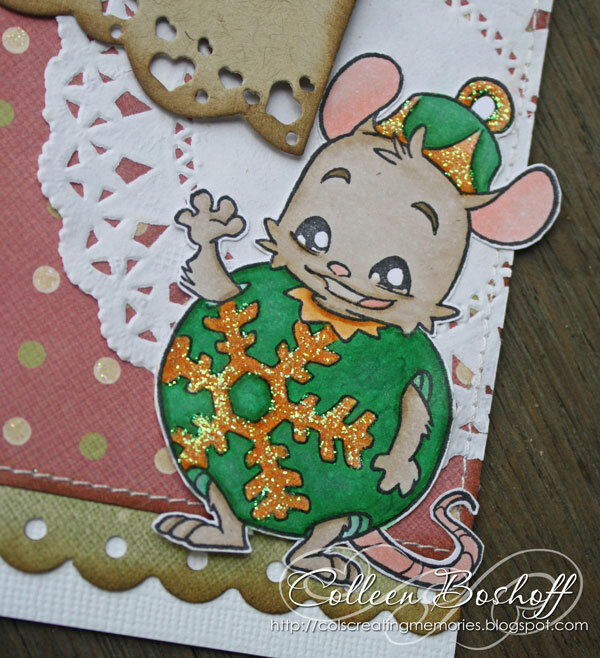 So today I have two tags to share with you using my favourite die from WOJ and some adorable images! First up is this cutie 'Henry Dressed up as Santa Clause'. My favourite die 'Sweet Tags with Hearts', the sentiment and twine are both WOJ and finished off with some lace from my stash. Simple but a great personal touch to a christmas present. Another cutie 'Henry in Christmas Bauble'. This tag is the same as the first but has a little bit of Distress stickles added to the bauble. I have one more card to show you then my christmas creations are done for the year. I have really enjoyed making my cards this year but I am also looking forward to colouring in some cute images and playing with different colour combinations again! Thank you for stopping by and for your sweet comments. Ik vind ze prachtig gemaakt. mooie kleuren. Wonderfull Tags, looks very lovely! Great tags Love them ! !